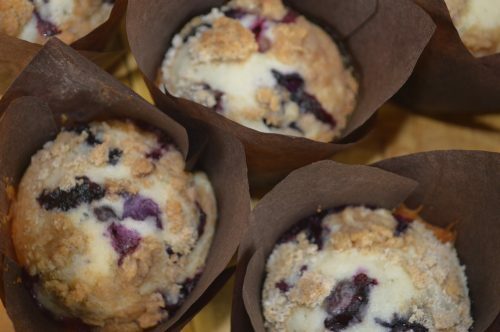 These blueberry muffins are delicious and fun! How great would it be to serve these at a brunch? The tart berries and sweet streusel are a match made in heaven. You could always mix up the berries too. These are delicious fresh out of the oven with a pat of butter. Line a muffin pan with muffin liners. In a large bowl, whisk together the milk, oil, and egg. Add the flour, sugar, baking powder and salt and stir until there are no lumps. Fold in the blueberries with a spatula. In a small bowl make the struesel. Mix the flour, brown sugar and cinnamon. Using a large scoop, fill the muffin cups evenly. Top each muffin with one tablespoon of struesel. 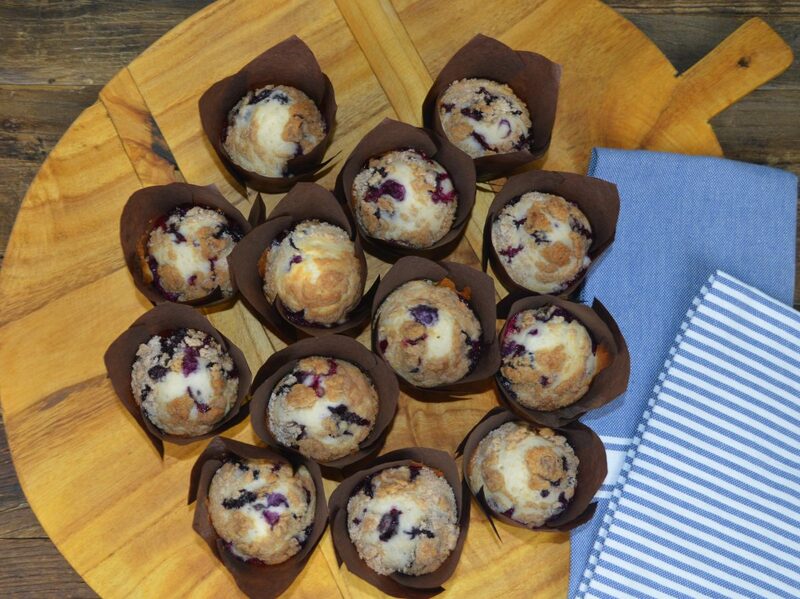 Take the muffins from the pan and gently place them on a cooling rack.